With the charges as high as £85.95 over ten days on an unauthorised overdraft of 200, Lloyds TSB is leading the way here. Such loan amounts to an equivalent APR of 46,450,869 per cent. Among other offenders are Payday UK and QuickQuid. 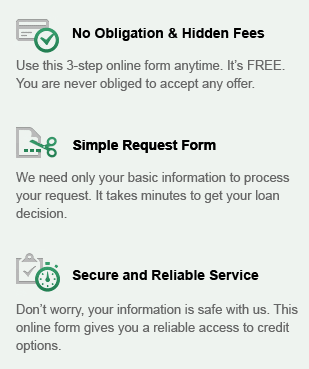 These companies charge their customers £25 for borrowing £100, if paid on time. One more controversial company is Wonga, with its typical APR amounting to 2689 per cent and it can charge as little as £8 for borrowing £100. Loan providers, in turn, strive to save their reputation. Mike Regnier, Lloyds TSB's current accounts director for told the Daily Mail: 'We offer our customers a number of services to help them manage their money effectively and prevent them from accruing fees and charges on their account, such as free text alerts that warn customers when they are about to go over their limit.". Moreover, in practice, there are hardly any customers who extend their payday loans for such a long period of time and end up paying such exorbitant rates. The Office of Fair Trading calls on the lending companies to state the annual rate of charges and interest incurred as a result of the loan becoming overdrawn for the customers. As for banks, they are free to state the annual equivalent of the borrowing.